The Stamp Act of 1765 was one of the defining moments in the history of North America and the history of stamps. The history of these stamps goes back further than that of postage stamps in the United States. The first postage stamps of the US were issued in 1847, whereas the stamps of the Stamp Acts were issued in the late 1700’s. Why were these stamps, the predecessors of revenue stamps, needed? In the mid to late 1700’s, Britain had just finished fighting the Seven Years War in the New World. Despite gaining territories for the Empire, the war had cost them an enormous amount of money, and they needed to make up the amount. Also, the decision was made to maintain an army in the colonies, which would cost more money. The reasoning was that in the event of further uprisings, the army would be there to take action. However, many also believe that the decision was influenced by the fact that bringing the army home would have put too many important people out of work. The British Parliament firmly felt that the colonies needed to contribute their part since they had benefited greatly from the protection of the British Army during the war. It was decided that a Stamp Act was the easiest and most efficient way of raising some money, especially since the method had been employed in Great Britain with great success. The decision almost immediately met with opposition. Initially, it was for economic reasons-no one wanted to be taxed…who does? Many also resisted the tax for reasons of principle. British law stated that an Englishman could not be taxed without the consent of his representative in Parliament. The colonists had no representatives in Parliament who could give their consent, and therefore argued that their rights were being violated. What exactly was the Stamp Act? 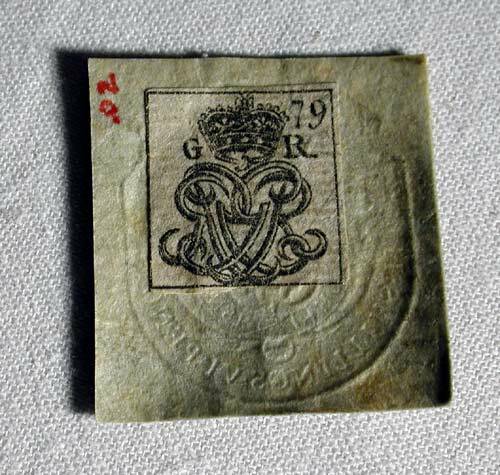 As mentioned in a previous article, «What are revenue stamps?», it was a law passed in 1765 by Parliament requiring the transfer of all legal documents, permits, commercial contracts, newspapers, will, pamphlets and playing cards to bear a tax stamp. Pre-embossed papers were sent from Britain to be used for these documents and ink stamps were added as well. Individuals had to pay the tax on the document, and then a stamp on the said document showed that the amount had been paid. To further infuriate people, the tax had to be paid in pounds sterling, British currency, and not in the currency of the colonies-making the whole thing an extra hassle. It also didn’t make sense, because the money was to be spent within the colonies and go directly to financing the troops. Why not use local currency? How did the public react? Well, notable politicians argued the matter and wrote many letters and statements to that effect. Eventually, as with most hot political topics, things got out of hand and mob mentality ruled the day. Crowds hung numerous pro-tax politicians in effigy, burned and looted their property, beat them up, and demanded their resignation. They even threatened private citizens who made use of documents with a tax stamp on them to «take care of his house, person, and effects». The result? 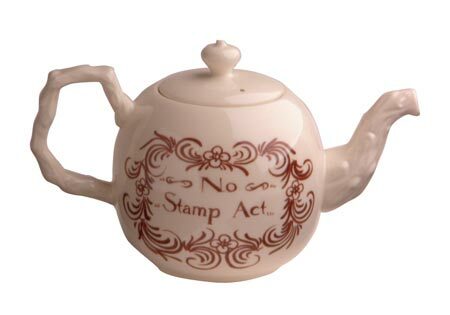 On March 18th, 1766, Britain repealed the Stamp Act. It seemed as if the colonies had won their cause. However, in 1766, the British Parliament also passed the Declaratory Act. This Act stated that Parliament « had the right and authority to make laws to bind the colonies of America…in all cases whatsoever, even without representation in Parliament». People were so busy rejoicing over the repeal of the Stamp Act that it took some time to realize that the Declaratory Act gave the British government carte blanche to do whatever it wanted in the future. So, other tax laws followed throughout the years, and were met with equal opposition, until finally taxes and duties became one of the contributing factors leading up to the American Revolution. A little piece of irony: after having fought so hard against these taxes, approximately 100 years later, around the time of the American Civil War, the American government approved the creation of revenue stamps to be used as a tax on documents! What goes around comes around. Hey Lisa! Thanks for this fascinating story! What is the value of the act stamps and how rare are they? I have a court English Yorkshire document dated back to 1783 with stamps on it 3 blue stamps and one black with the letters GR 115 and a crown. I believe it is rare and dates back to the act stamps era . Are these stamps fairly common? I was searching through some of my old ephemera from the 1780’s and have found a document with two such stamps. I am wondering if they might have some value? Does anyone know what the G R stands for in the stamp shown at the top? My son has a Who Was George Washington book that has a picture of that stamp in it and he’s wondering what it means. Thanks! The monogram ‘G R ’ is for King George III who reigned from 1760 to 1820. GR means George Rex. Rex is the Latin for king. where can I find vale of these I have many different types plus black ink types. but i can not find Scott identification.please help.